For many of us who work with computers all day, it can get a bit boring to look at the same bland desktop all day long. While Windows has made some improvements to the user interface over the years, it's still the same as everyone else's in your home or office. I like to customize things, especially items I use often, and my PC is no exception. You can customize your desktop as much or as little as you would like with a variety of custom themes and skins found at WinCustomize.com. I wanted to give a quick rundown on how you can make your desktop unique using customization apps available from Stardock. WindowBlinds has been the ultimate customization app for Windows for many years and has been download millions of times. 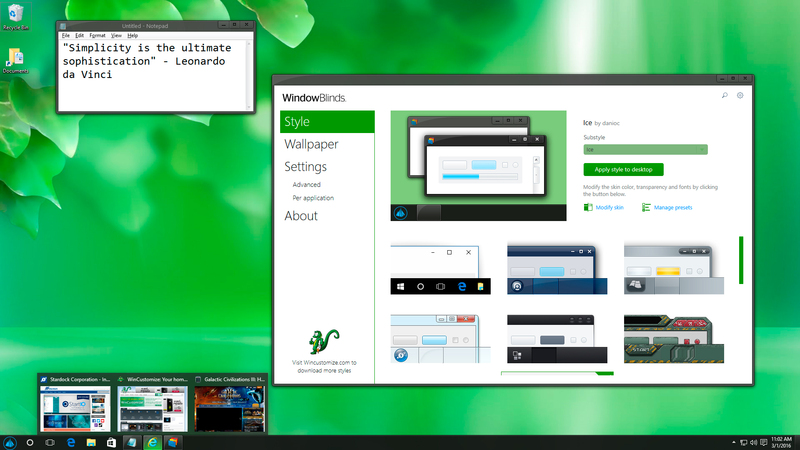 WindowBlinds lets you change the entire user interface to one of the thousands of custom skins that are available on WinCustomize. These skins can be customized further by changing the color, transparency, and texture to suit your style. If you're aWindows 10 user, then using Start10 along with WindowBlinds will also give you the ability to change the Start menu to match the rest of the skin. 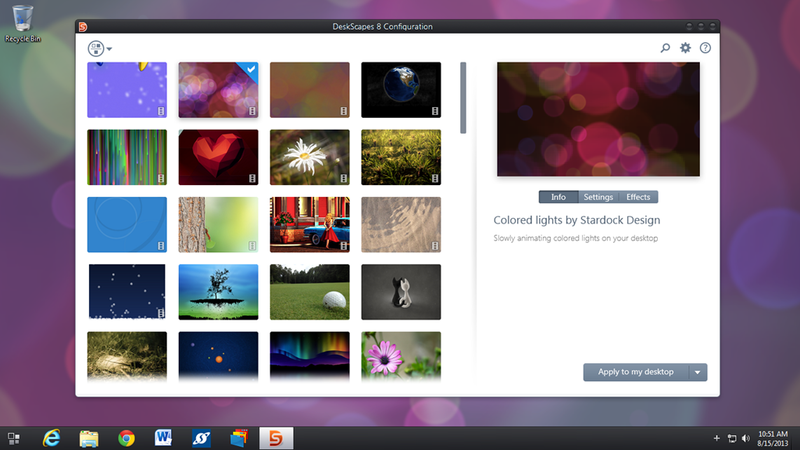 DeskScapes lets you have cool animated wallpapers right on your desktop. It has over 40 special effects that can be applied to wallpapers in order to take your customization even further. You can apply your images and videos to be the desktop wallpaper and can use any animated wallpaper as your PC screensaver. Want to change all the icons on your PC at once? IconPackager uses an entire package of icons to change nearly every one at the click of a button. You can also change the icons individually, but there are thousands of icon packs available that can apply a matching set across your entire Windows PC. These bundled packs of custom icons can also be customized and recolored from within IconPackager. This is great for matching the color scheme of other skins you might be using.